Advanti Mission, multi-spoke design finished in Matt Black. A semi-forged wheel created using Advanti Racing's latest DST technology, making it Lightweight, Strong, Durable. 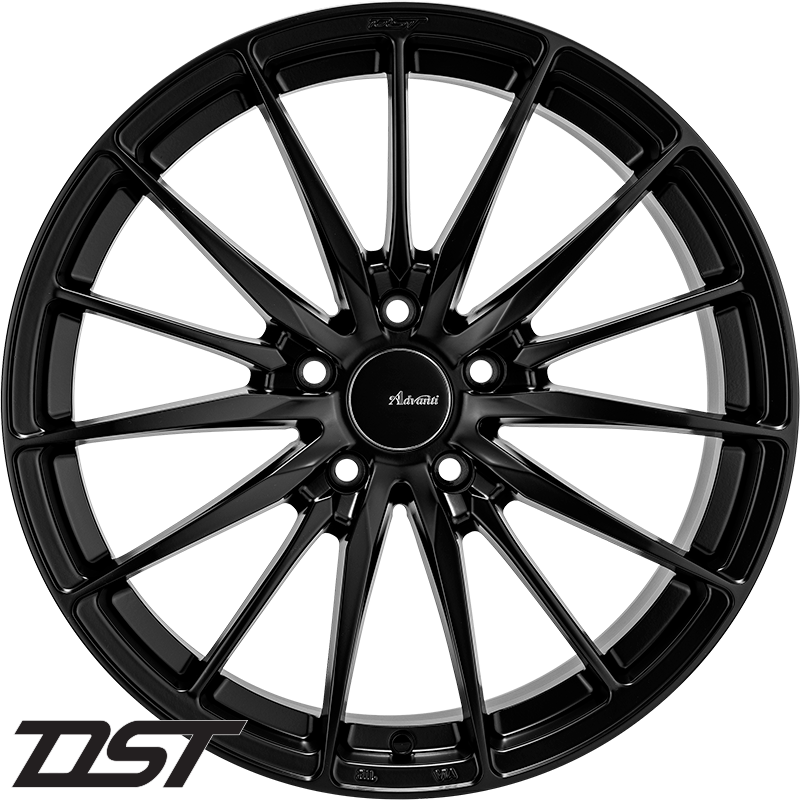 Dynamic Spinning Tech ( DST) is Advanti Racing's latest propriety technology. Utilizing flow form technology to apply pressure on the inner wheel after casting. The DST pressure stretches & forms the material, resulting in greater tensile strength similar to forged wheels. These characteristics subsequently transfer into better vehicle performance.To view the DST manufacturing process in action, follow the link here.